The Nordstrom Way to Customer Service Excellence is a completely new and revised look at America's leading customer service company. There is new emphasis on the importance of customer engagement through social media as well as a look at how the employee experience determines the customer experience. Join us for a business breakfast and listen to Robert share his ideas and offer principles that you can apply to your own company. 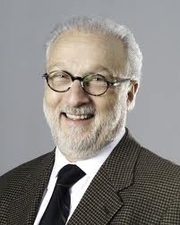 Robert Spector is a best-selling author, speaker and consultant on customer service and corporate culture. He is the author of The Mom & Pop Store: True Stories from the Heart of America, which profiles Village Books. This event is co-sponsored by the Leopold Retirement Residence and will take place in the Crystal Ballroom of the Leopold. Tickets are $10 and include a buffet breakfast catered by Book Fare Cafe. Tickets are now available on BrownPaperTickets.com and at Village Books, and must be purchased no later than March 31st. Robert Spector , The Mom & Pop Store: How the Unsung Heroes of the American Economy Are Surviving and Thriving. "A warm and personal look at the entry point of American emigrant entrepreneurship. The Mom and Pop Store is part Studs Terkel, part Bill Bryson, as Spector mixes family history with his vast knowledge of retail." Robert Spector's book The Mom & Pop Store was available from LibraryThing Early Reviewers. Robert Spector is currently considered a "single author." If one or more works are by a distinct, homonymous authors, go ahead and split the author. Robert Spector is composed of 1 name.